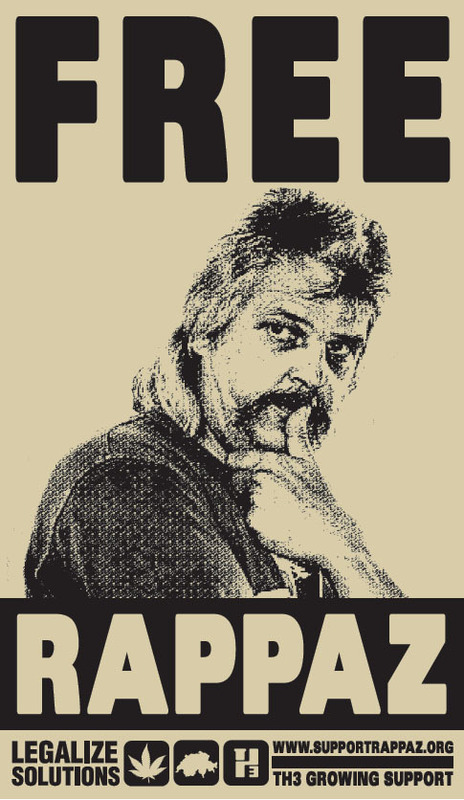 On October 22th 2008, Mr. Bertrand Rappaz was condemned to more than 5 years in jail for various offenses resulting from his activity as a farmer of marijuana. On March 2010, he was jailed at the prison des Iles in Sion. A long time non violent and environment activist, he began an hunger strike to protest against the criminalization of the farming of marijuana and its lengthy sentence. Following a deterioration of his health, he made several requests for his sentence to be temporarily suspended for health reason (art. 92 of penal code). He was temporarily released 2 times, and stopped his hunger strike. Once jailed again, he started a new hunger strike and was hospitalized in the penitentiary wing of the university hospital of Geneva. On November 10th 2010, a judge ordered Dr. Hans Wolff, head of the penitentiary wing to practice forced feeding on the applicant but the doctor refused to carry it out. On December 7th 2010, his last request (6B_1022/2010) was rejected by the federal tribunal on the ground that the “medical treatment” that he could receive will be the same whether he is detained or free. The tribunal didn’t take into account that the detained applicant was on hunger strike to protest against his detention and that Dr. Hans Wolff refused to carry out forced feeding. Moreover the ruling didn’t specify what kind of “medical treatment” the applicant could receive. Swiss doctors and nurses associations already alerted that the forced feeding of a hunger strike patient is against the international ethics standard set by the World Medical Association (Declaration of Malta). 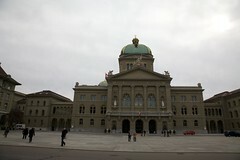 On December 14th 2010, the applicant filed an urgent motion under article 39 [fr], requesting that the Court order the Swiss government to temporarily suspend his sentence pending the decision of the Court. The applicant complained that the refusal to suspend his sentence was a violation of articles 2 and 3 of the Convention. On December 16th 2010, Judge Christos Rozakis refused to grant the request. Surprisingly, Judge Christos Rozakis officially requested the applicant to stop his hunger strike thereby renouncing to his right to freedom of expression (art.10). Both decisions were unmotivated and the name of the judge is not revealed (see below). The applicant is represented by Me Aba Neeman (Monthey). Following the decision of the Court, the applicant ceased his hunger strike and filed a complain for damages for his condition of detention in the penitentiary wing. On December 8th 2009, Mr. Pierre Henry Martzloff was extradited from Morocco and subsequently detained in the infamous jail of Fleury-Merogis located 30km away from the French capital. The gigantic prison was opened in 1968 and is the largest in the European Union with up to 3,500 inmates detained. The condition of detention were horrendous but the Court took 26 years after the first complain to find a violation of article 3 of the Convention. On October 7th 1987, the European Commission of Human Rights dismissed the case Breguet v. France (11550/85) for lack of answer of the lawyer Me Jacques Verges. The applicant was condemned to 10 days in solitary confinement in Fleury Merogis for having written in a private letter that the chief of guards was “miserable“. He complained that his detention in the solitary confinement in Fleury-Merogis was a violation of article 3 of the Convention. On March 8th 1988, the European Commission of Human Rights ruled in case Theron v. France (11422/85) that the condition of detention didn’t attain the threshold required by article 3 of the Convention. The applicant who was serving a sentence of 8 days in solitary confinement, was condemned to 15 more days for having written in a private letter that the solitary confinement in Fleury-Merogis was “white torture“. The applicant described his solitary confinement cell as very dirty and the food as disgusting. He complained that his mattress was very dirty without linen, and that he couldn’t take a shower and change his clothes more than once a week. On July 4th 2006, the Grand Chamber of the Court ruled in case Ramirez Sanchez v. France (59450/00) that the solitary confinement of the applicant for 8 years in the 3 infamous jails (La Sante, Fresnes, Fleury-Merogis) was a not violation of article 3 of the Convention. The applicant complained that his cell was in terrible condition with no private toilet, and that the yard for daily exercise was nothing more than a large cage. Surprisingly, the Court even found the condition of detention in the solitary confinement unit of Fleury-Merogis in compliance (§130) with the Recommendation Rec(2006)2 of the Committee of Ministers to member states on the European Prison Rules. The Court had never visited the unit. On June 12th 2007, the Court ruled in case Frerot v. France (70204/01) that the multiple naked strip searches of the applicant in the jail of Fresnes were a violation of article 3 of the Convention (§48). The applicant complained that he was ordered to open his mouth during naked strip searches in jail of Fleury-Merogis and upon his refusal was condemned to the solitary confinement unit. Surprisingly, his lawyers Me Christophe Nicolaÿ et Me Ludovic de Lanouvelle didn’t complain about the condition of detention in the solitary confinement unit. 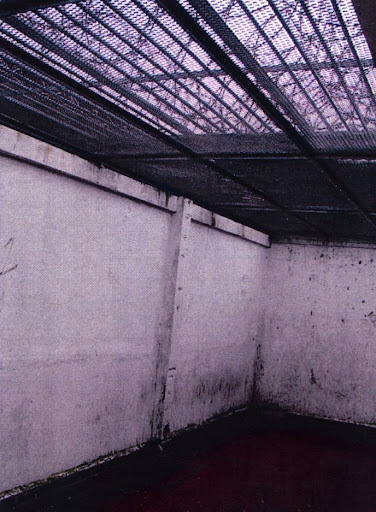 On September 11th 2007, the online newspaper Rue89 released a plan and pictures of cells of the solitary confinement unit of the jail of Fleury-Merogis. On January 20th 2011, the Court found in case Payet v. France (19606/08) that the detention in the solitary confinement unit of the jail of Fleury-Merogis constituted a “degrading and inhumane treatment” (§85) and therefore a violation of article 3 of the Convention, 26 years after the first application made by Mr. Bruno Breguet in 1985. On December 18th 2008, the daily newspaper Le Monde released an extract of a 2h30 video of the regular unit of the jail, shot clandestinely by detainees. On April 2th 2009, the state television France 2 showed a documentary on the jail with 40mn of footage from the clandestine video (see below). 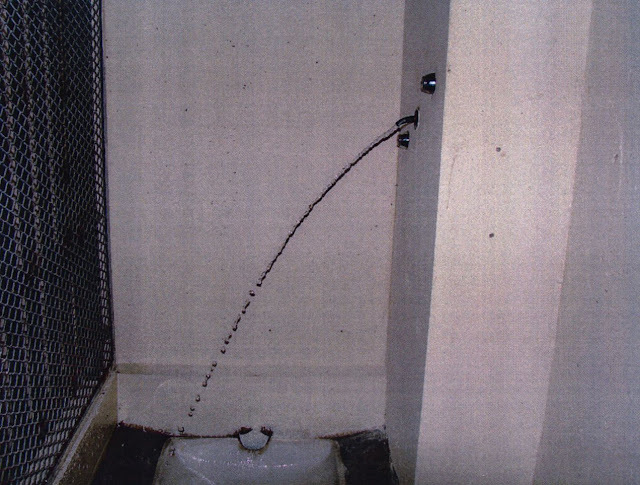 In the case Martzloff v. France (6183/10), the applicant complained that his cell is very cold because of broken windows, that he have to use the toilet in front of other detainees and that the communal showers are broken. According to him, the exercise yard lacks toilet and showers and is full of dead rats bodies. These allegations are confirmed by the clandestine video and the NGO OIP. On February 1st 2011, the application was communicated to the agent of the French government with questions to be answered within 16 weeks. The applicant is not represented by a lawyer. In 20 years and during its 11 visits to France, the CPT of the Council of Europe never visited the largest jail of the European Union (except the young offender site located outside of the main compound in 1996). On January 26th 2011, Mr. Frank Schürmann the representative of the Swiss confederation for the ECHR announced the selection of 3 candidates for the election of the Judge for Switzerland (2011-2020). This Judge will be the 5th for Switzerland in the history of the Court. He will replace Judge Malinverni (2007-2011) who took office on January 19th 2007 after being elected on June 27th 2006. The first Judge for Switzerland was Antoine Fabre (1963-1975), the 2nd Denise Bindschedler-Robert (1975-1991) and the 3rd Luzius Wildhaber (1991-2006). According to the appendix AS/Jur(2008)52 of the report 11767 of the Committee on Legal Affairs and Human Rights of the Assembly, the previous selection process in 2006 was not respecting any of the 5 principles surveyed. There was no call for candidature in the specialized press. The selection process was not made public and lacked any formal legal basis. Moreover, there was no assessment of candidates’ linguistic abilities, no consultation with civil society bodies and no involvement of a panel of independent experts. Therefore the previous selection process in 2006 didn’t meet the criteria of fairness, transparency and consistency required by Recommendation 1649 (2004) even though the representative of the Swiss confederation claimed the opposite. The selection process in 2010 didn’t meet again the criteria. There was no call for candidature in the specialized press. The selection process was again done in secret without any formal legal basis. Again, there was no assessment of candidates’ linguistic abilities, no consultation with civil society bodies and no involvement of a panel of independent experts. The call for candidature (see below) attracted only… 12 candidates. 6 candidates were removed by the government from the selection process. The gender balance of the selection panel is secret as the whole process. Interestingly, Mr. Frank Schürmann the representative of the Swiss government refused to communicate any document relating to this selection process and the list of the 12 candidates. Switzerland is home to 8,500 lawyers and 1,089 professional judges but the federal council didn’t select any lawyer as candidate. Instead the federal council proposed 2 lower court judges out of its 3 candidates in violation with point 4.5 of Resolution 1646 (2009) which states : “if possible, no candidate should be submitted whose election might result in the necessity to appoint an ad hoc judge“. In 2006, the only candidate who was a judge Giusep Nay received only 13% of the vote of the Assembly. The 3rd candidate, Ms. Helen Keller seems then the only real candidate of the Swiss government. After M. Walter Kalin (Switzerland) resigned for an unknown reason, she was nominated by the Swiss government for the election of the member of the Human Rights Committee (CCPR). On July 28th 2008, she was “elected” without vote…by being the only candidate (press release from Swiss govt). After being again nominated by the Swiss government, she was “reelected” on September 2th 2010 as one of the 9 members among 18 candidates. Her mandate will expire on December 31th 2014. Whether or not the Assembly (PACE) will reject the list of candidates submitted by the Swiss government will be a test on the pledged commitment to a “fair, transparent and consistent” selection process. It will also have lasting consequences on the legitimacy of the Court. On April 12th 2011, Ms. Helen Keller was elected by 103 members of the Assembly on 318 representatives (only 160 were voting). It will be her first position ever as a judge. In an interview to SwissInfo, Judge Keller declared that she will resign from being a member of the Human Rights Committee (CCPR) which will trigger the 3rd elections in the last 3 years for the U.N post (4 years mandate).